KIM graduated from the Department of Theater and Cinema in Hanyang University. He was cinematographer on the short film “Hibernation” (1998, JUNG Yoon-chul) and several feature films, such as< Flower Island > (2001, SONG Il-gon) and < Wanee & Junah >(2001, KIM Yong-kyun). 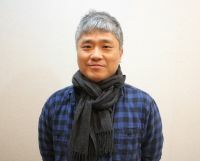 His directorial debut, (2003), concentrated on Korean-Japanese students of the Chosen school in Japan. In < Our School >, he deals with the issues of Korean residents in Japan with more serious and considerate point of view than his previous work. [Video] 7 Industry Professionals Recommend "Land of Sorrow"